Unprecedented power outages plunged the Kashmir Valley into darkness, with authorities blaming yesterday's heavy snowfall for the disruption. 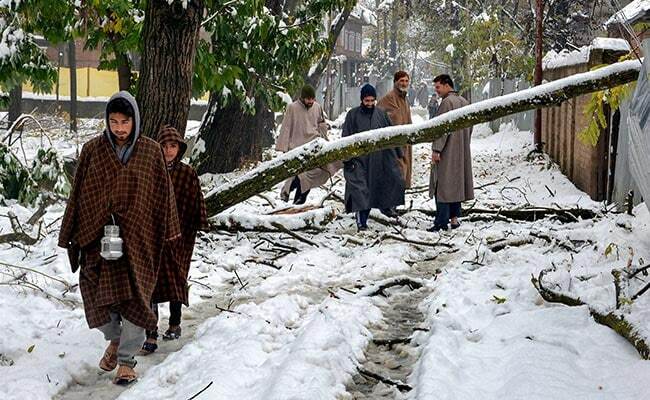 Kashmir has witnessed snowfall in the month of November for the first time since 2009. 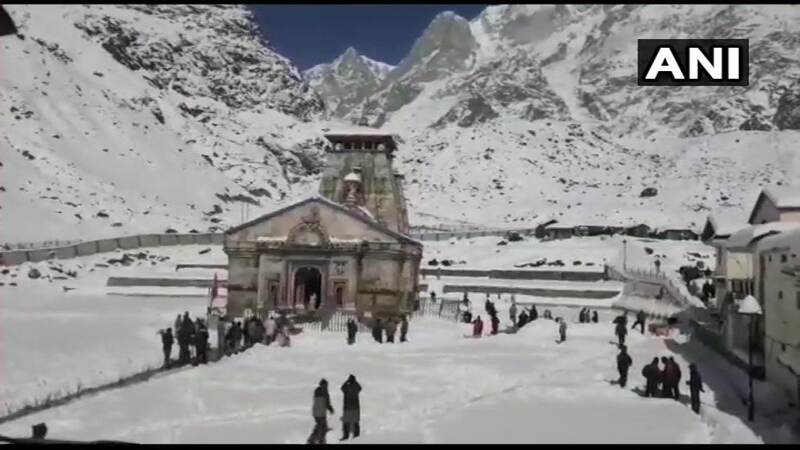 Heavy snowfall in parts of Jammu and Kashmir has affected road transport and essential services such as power supply and hospital operations. A nine-year-old girl has been killed and three members of a nomadic family were injured when a landslide struck their tent in Rajouri district on Saturday night. There are reports of damage to apple plantations that have been buried under a thick layer of snow. On Saturday, over 300 passengers, including dozens of security personnel, were rescued after they were caught in heavy snowfall near Jawahar tunnel on Jammu-Srinagar National Highway, the police said. Fresh landslides occurred at multiple places between Ramban and Banihal sectors, and it was not possible to allow stranded passengers to move towards Jammu. Power supply was restored on Sunday to 90 per cent of Srinagar city and most rural areas of the Kashmir Valley after overnight heavy snowfall damaged transmission towers and snapped surface and air links with the rest of India. The Jammu-Srinagar national highway was opened for one-way traffic Sunday, a day after being closed due to heavy snowfall and landslides, and over 700 stranded commuters were rescued overnight from the Jawahar tunnel area, officials said, according to a Press Trust of India report. 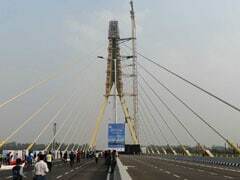 The only all-weather road linking the Kashmir Valley with the rest of the country, was opened for traffic coming from Srinagar to Jammu after nine hours of clearance operations, they said. The operation along the Jawahar tunnel, and Qazigund and Banihal-Ramban stretches was launched around 5 am on Sunday, Senior Superintendent of Police (SSP), Ramban, Anita Sharma, told PTI. It took almost nine hours for workers to clear the road for one-way traffic, she said. In a major overnight rescue operation, over 700 stranded passengers were evacuated from both sides of the Jawahar tunnel, a police spokesman said, according to a PTI report. The SSP said they were Jammu-bound commuters and were rescued from the Kashmir-side of the tunnel and the Verinag Zing area, where more than one-feet of snow had accumulated. "In the night-long operation, police evacuated 700 stranded passengers from the Jawahar tunnel area. Passengers stranded at either side (of the tunnel) were evacuated," the spokesman said. The evacuated people, including tourists, were accommodated in shelter sheds, religious places and sarais in Banihal's Nowgam and Gund areas, and in Qazigund, he said. In addition, 1,000 civilians, who were stuck in other parts of the highway, were also provided food and shelter in Banihal by police and the civil administration, the spokesman said, according to PTI. The SSP said stranded passengers who were evacuated from the Jawahar tunnel area and brought to Banihal late Saturday night, were allowed to move towards Jammu on Sunday. Snow clearance operation are still underway at some areas of the highway, Sharma said. The 270-km highway was closed for vehicular traffic Saturday evening after heavy snowfall in Qazigund-Jawahar tunnel sector coupled with landslides at Pantiyal, Ramsoo, Digdol and Battery Cheshma along the Banihal-Ramban stretch due to incessant rains. The police spokesman said 28 more passengers, including two truck drivers, were rescued from Drass and Ganderbal along 434-km Srinagar-Leh national highway and shifted to safer places, according to PTI. "Some stranded tourists were evacuated by police from the snow bound areas of Cheeni Wuder in Anantnag and Gulmarg in Baramulla districts," he said. 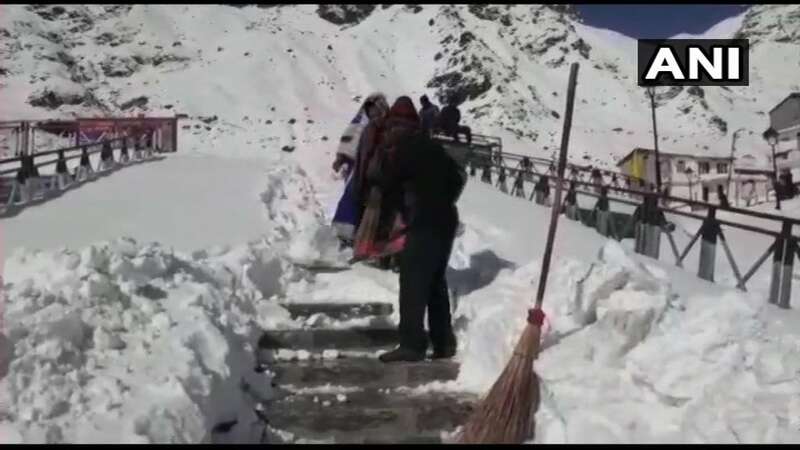 The officials said snow clearance operation have also started along the Mughal road, connecting the twin districts of Poonch and Rajouri in Jammu with south Kashmir's Shopian district. They said about four-feet of snow had accumulated on the ground in Peer Ki Gali area over the past couple of days. Over 120 people, mostly truckers, were rescued after they got stranded in the high-altitude area on Saturday, the officials said. The Jammu and Kashmir State Board of School Education will provide a chance for all students who missed their examinations due to heavy snowfall to reappear, an official confirmed, according to news agency ANI. Taking to his official Twitter handle, Deputy Commissioner of Bandipore district, Shahid Choudhary, said, "All students who missed exams due to heavy snowfall will get another opportunity once the weather improves. BOSE has agreed to our request. 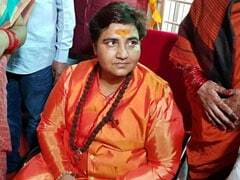 Same will apply to any further such incidents." The extreme weather conditions prevailing over the state has led to the cancellation of a number of flights in the Srinagar Airport, while also causing severe traffic jams, water-logging and power cuts in most parts of the capital city, according to ANI. Record-breaking snowfall has thrown life out of gear in Doda and adjoining districts in Chenab Valley. The snowfall in the inhabited areas, ranging from three inches to over three feet, was recorded in different areas of the district, forcing closure of Bhadarwah-Basohli highway, Kishtwar-Sinthan Top road and Bhadarwah-Chamba interstate road while many far-flung areas got cut-off, officials say. 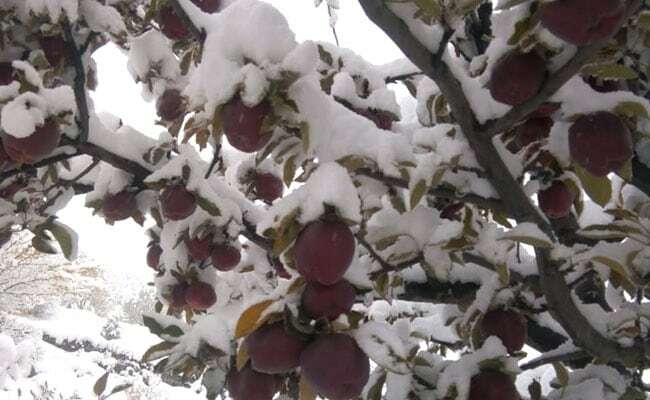 Orchardists demand that the government set up teams for assessment of losses and compensation be provided to them after apple crop worth crores of rupees was damaged in Kashmir due to early snowfall. "There has been lot of damage to apple orchards, especially in south Kashmir area. The government should immediately order loss assessment and compensation," said Shakeel Ahmad, an orchardist from Pulwama. Political leaders have extended support to the farmers and asked the state government to take up assessment of losses and compensation for the ryots. The power department has informed Jammu and Kashmir Governor Satya Pal Malik that by this evening electricity would be restored in 90 per cent of the affected areas while in other areas restoration work is underway, an official spokesperson says. Mr Malik has asked the principal secretary finance to make adequate funds available to the power and public works departments for replacement of damaged transformers and snow clearance operations respectively. Jammu and Kashmir Governor Satya Pal Malik takes stock of the situation arising due to heavy snowfall and orders immediate restoration of essential services in the affected areas. The governor is personally monitoring the situation and has issued instructions to the power development and public works departments for immediate restoration of electricity supply and road connectivity in the affected areas, an official spokesman says. Over 300 stranded passengers, including tourists, who were evacuated during a late night rescue operation across the Jawahar tunnel and brought to Banihal, are being allowed to move towards Jammu. 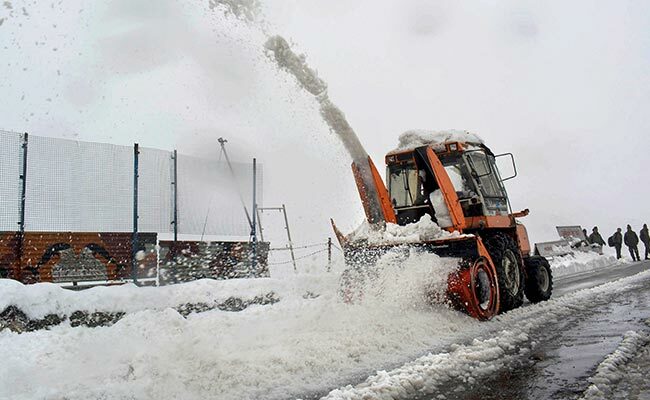 The preference is being given to the stranded vehicles and once these are cleared, the traffic would be allowed from Srinagar to Jammu, a police official said, adding that the snow clearance operation is still continuing at the affected areas. The Jammu-Srinagar National Highway, the only all weather road linking the Kashmir Valley with the rest of the country, has been reopened for one-way traffic, officials tell news agency PTI. 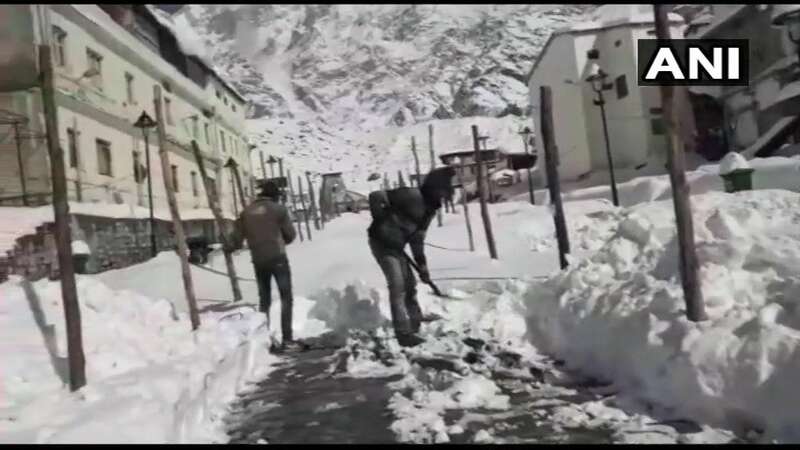 A snow clearance operation along the Jawahar tunnel and Qazigund and Banihal-Ramban stretches was launched around 5am and it took almost nine hours for workers to clear the road for one-way traffic, Senior Superintendent of Police of Ramban, Anita Sharma, tells PTI. Surface links between Kashmir and the rest of the country remain cut off for the second day due to heavy snowfall in the Valley. Former Chief Minister of Jammu and Kashmir Omar Abdullah says because of the administration's unpreparedness after heavy snowfall, people are paying the price. It's been more than 24 hours since the snow first started falling in & around Srinagar & we are still without electricity. Clearly the administration has been caught unprepared & the people are paying the price for it. All necessary security arrangements have been put in place as the Civil Secretariat, seat of the Jammu and Kashmir government, will reopen tomorrow after a 10-day break owing to the bi-annual Darbar Move, according to news agency PTI. The Darbar Move was started in 1872 to escape the extreme heat during summers in Jammu and the biting cold of winters in Srinagar. Besides special checking points at various places in the city, additional policemen have been deployed in and around vital installations and thoroughfares. Former Chief Minister of Jammu and Kashmir, Omar Abdullah, has requested the Governor to ask his officers to assess the damages and help the apple growers. A Met official says after yesterday's heavy snowfall in the higher reaches and mild to moderate rains in the plains of the state, the weather is expected to improve from today. "Dry weather is expected in Jammu and Kashmir from Monday for two to three weeks," he says. 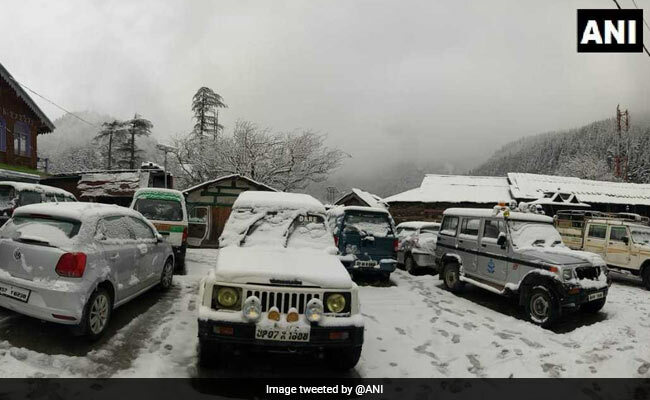 The valley has witnessed snowfall in the month of November for the first time since 2009, according to news agency IANS. The minimum temperatures across the Kashmir Valley dropped below the freezing point today with Srinagar recording this season's coldest night so far at minus 0.4 degrees Celsius, the Met Department says. 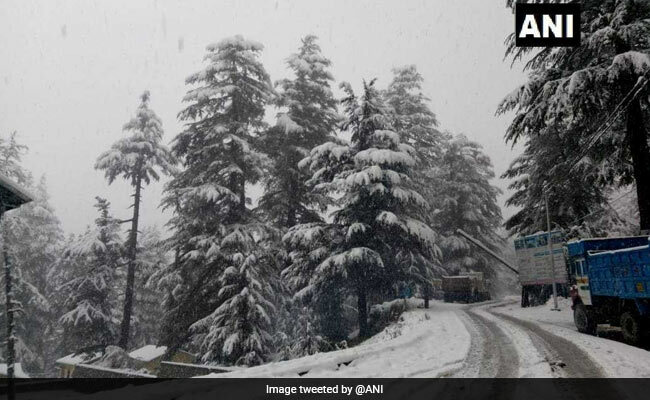 Bannihal town was the coldest in the Jammu region as the minimum temperature fell to 0.4 degrees Celsius. Chief engineer electric maintenance Kashmir, Hashmat Qazi says the power outage is caused by the breakdown of major supply lines due to the fall of foliage laden branches on the supply lines. He says the entire manpower of the power development department is working on restoration of the transmission lines and grid stations. A Bakarwal family set up a tent accommodation near a shrine in Rajouri district which came under a landslide triggered by incessant rains at around 11:30 pm Saturday, an official tells news agency PTI. A nine-year-old girl has been killed and three members of a nomadic family were injured in the incident, he adds. The nomadic Gujjars and Bakarwals have begun their bi-annual seasonal migration from the higher reaches of Kashmir to summer zone Jammu last month owing to early snowfall this season but have set up temporary accommodations at various places due to inclement weather. 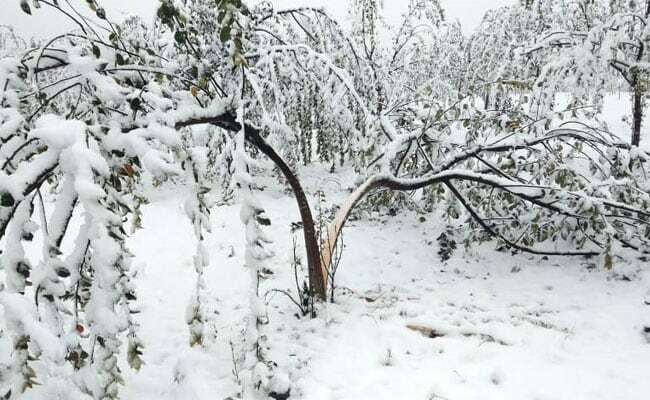 Orchards and apple trees have been destroyed by snow in many parts of the Valley. Srinagar-Jammu National Highway is closed and all other important roads have also been blocked due to untimely snowfall. Snowfall in Kashmir has caused complete power breakdown in the Valley forcing students to write their exams in candle light. Most of the hospitals are also without power supply. 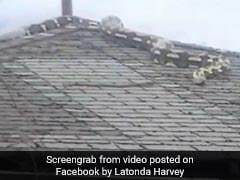 Officials say they are trying to restore power supply. Snowfall in Srinagar has also led to cancellation of several flights at the city airport.